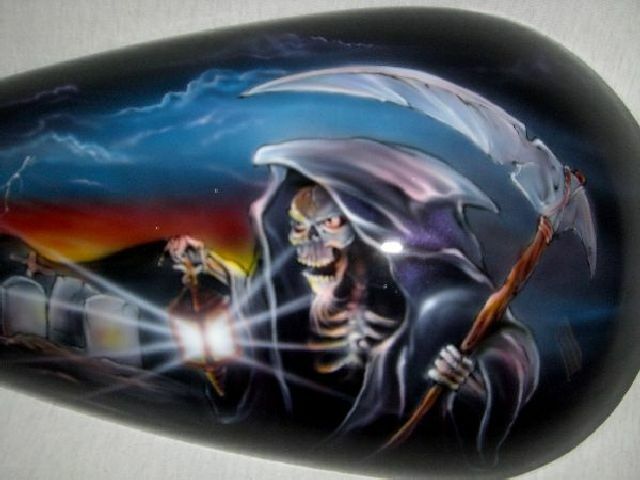 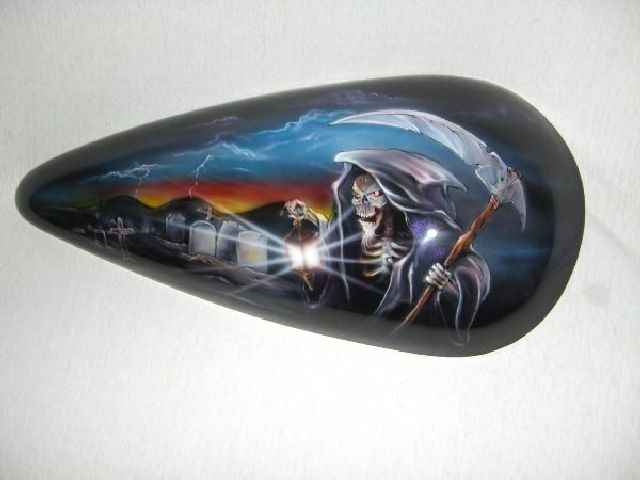 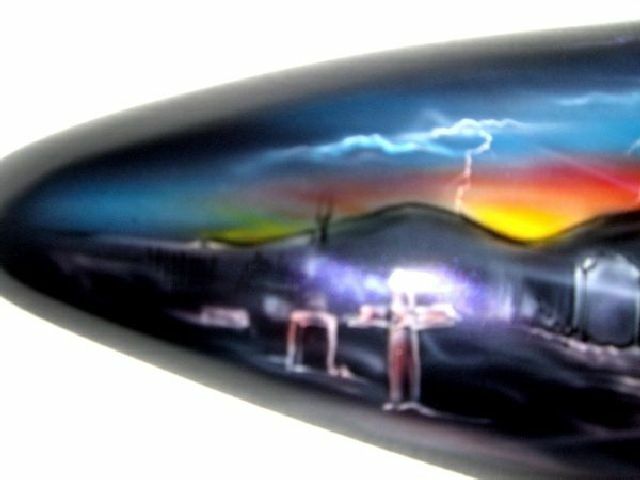 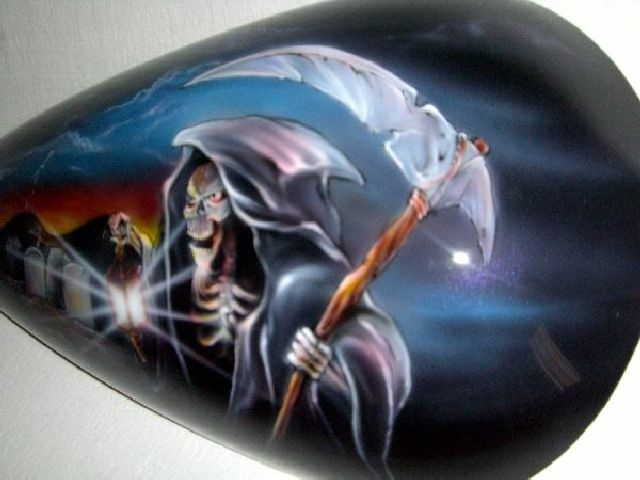 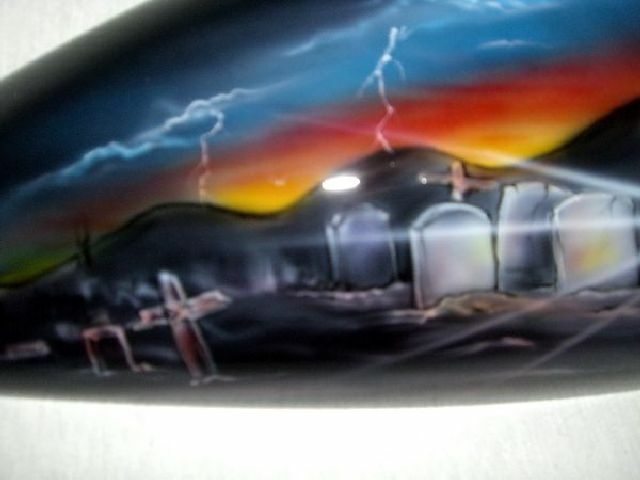 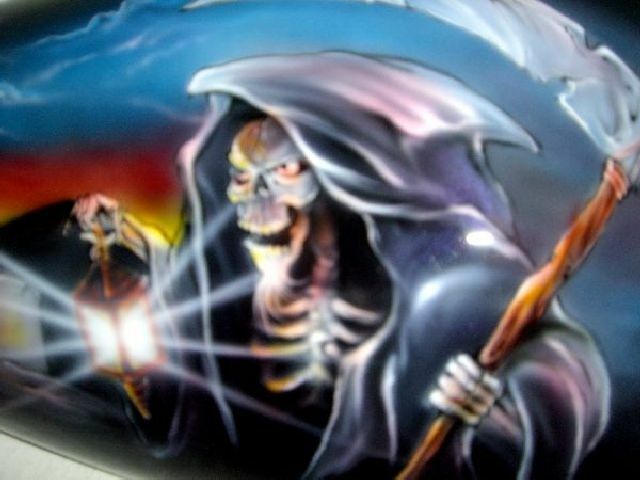 This full colored Grim Reaper theme is another masterpiece from our artist that will attract the crowd whether you are at the gas station, or at bike night. 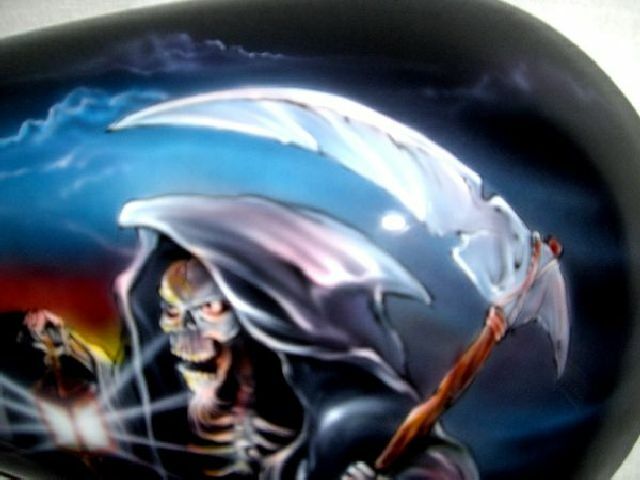 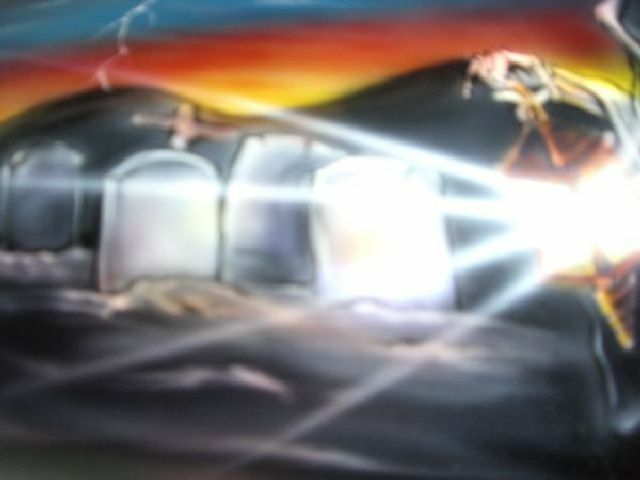 The theme is carried out throughout the complete paint set, we can personalize it to your likings or run with the flow. 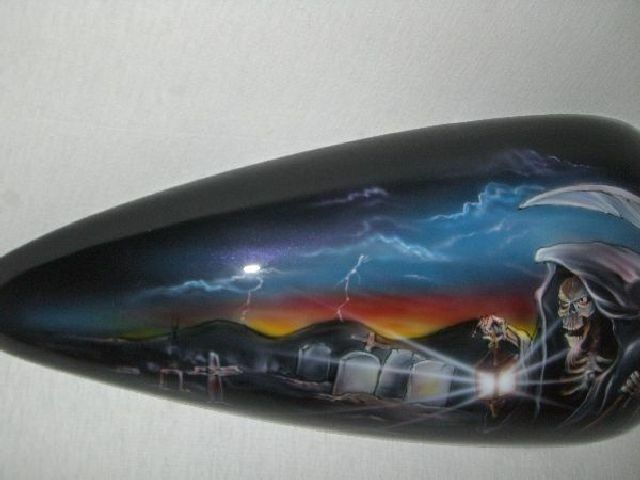 All the parts are full of color with just the right touches. C.R. 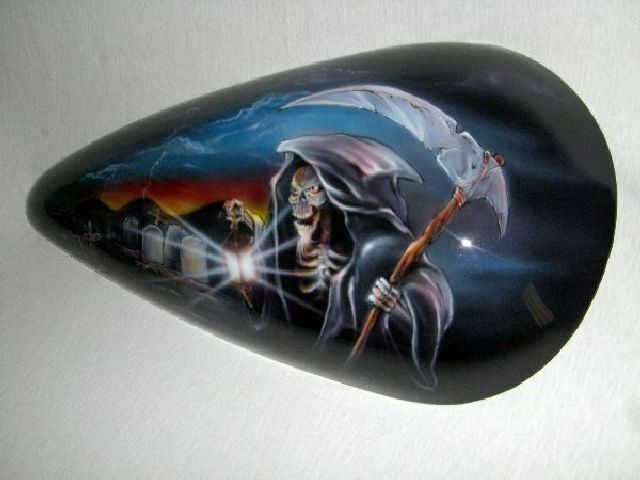 Designs always welcomes your ideas, Want to personalize the tombstones with something special to you let us know and well make it reality. 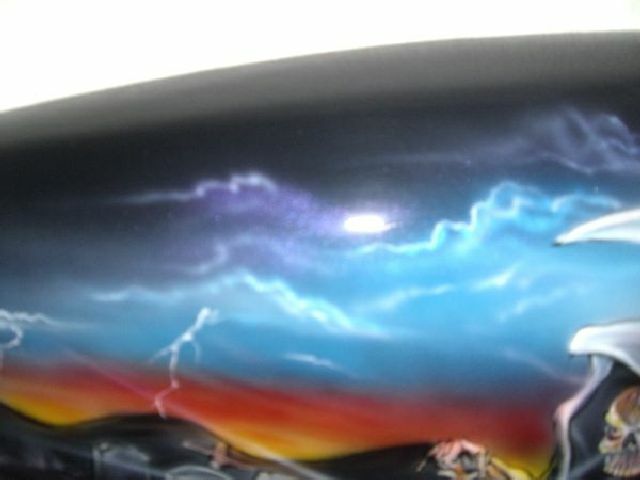 This is THE place to get your paint done. 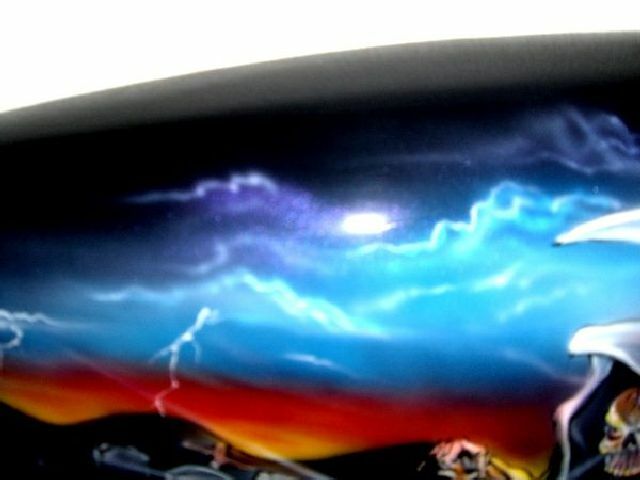 We have used many painters over the years but none of them have delivered the quality of paint, attention to detail, and customer service as Chad.